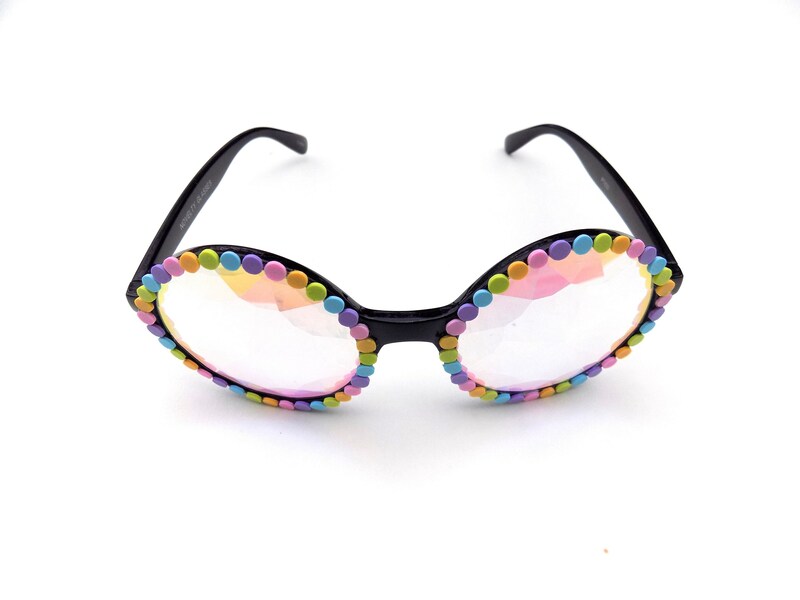 IMPORTANT: These are *novelty* glasses which distort your vision, not intended for any practical eye protection. Do not wear while driving or operating heavy machinery. 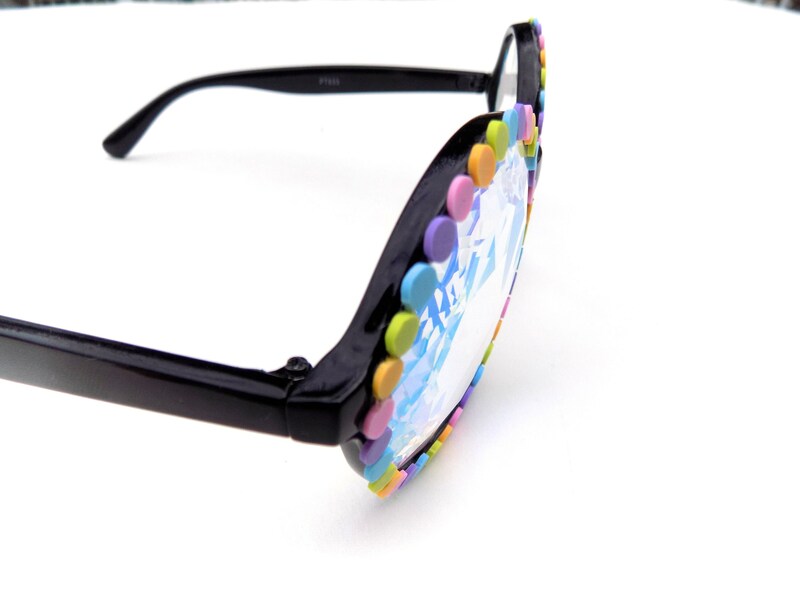 These have no UV protection. 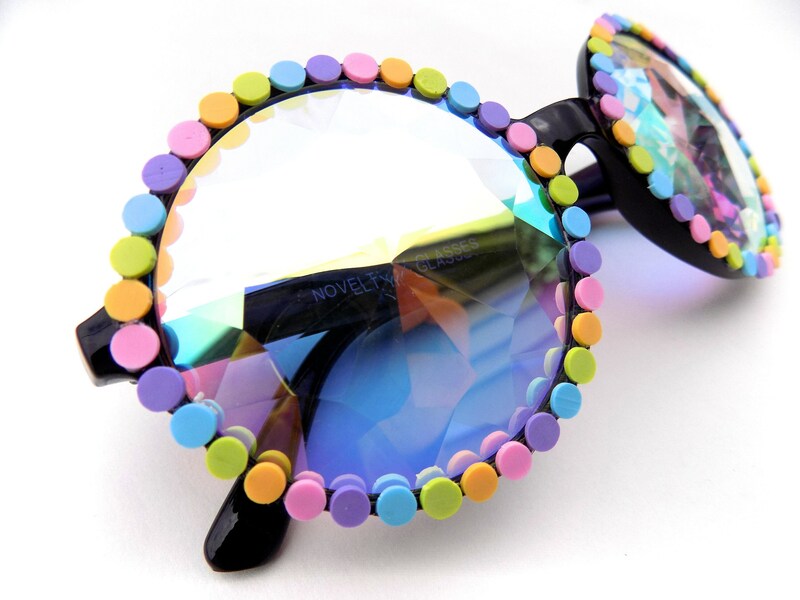 These super trippy kaleidoscope glasses have been decorated with adorable candy-colored dots encircling the lenses. 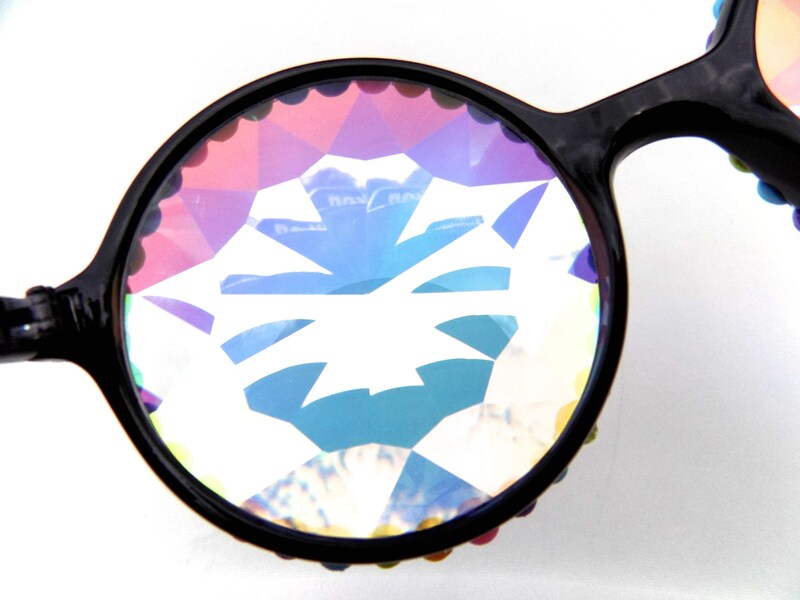 The lenses are made with colored, faceted glass, which gives the effect of looking through a kaleidoscope (your vision will be distorted). 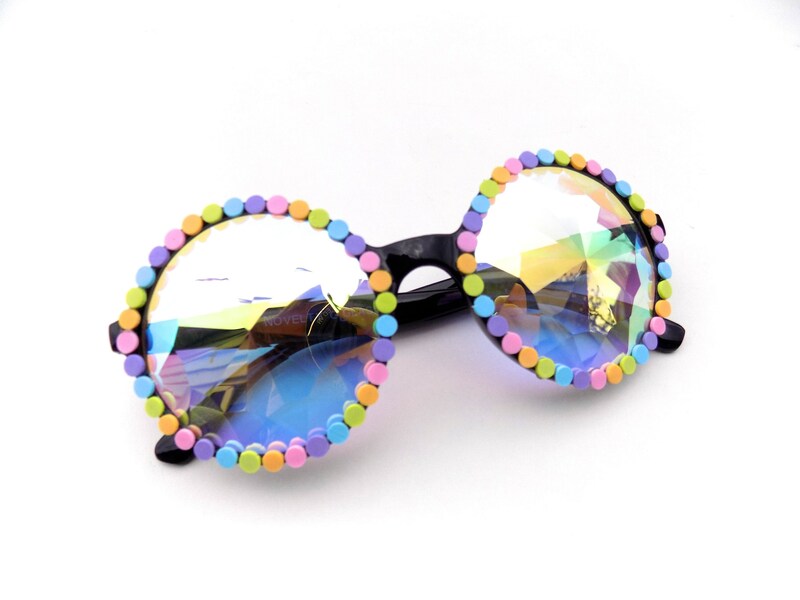 Very fun for concerts and festivals! Share with your show/festival neighbors and make friends! My decorations have been fastened securely using industrial strength glue; built to last. Want to add words or other embellishments? 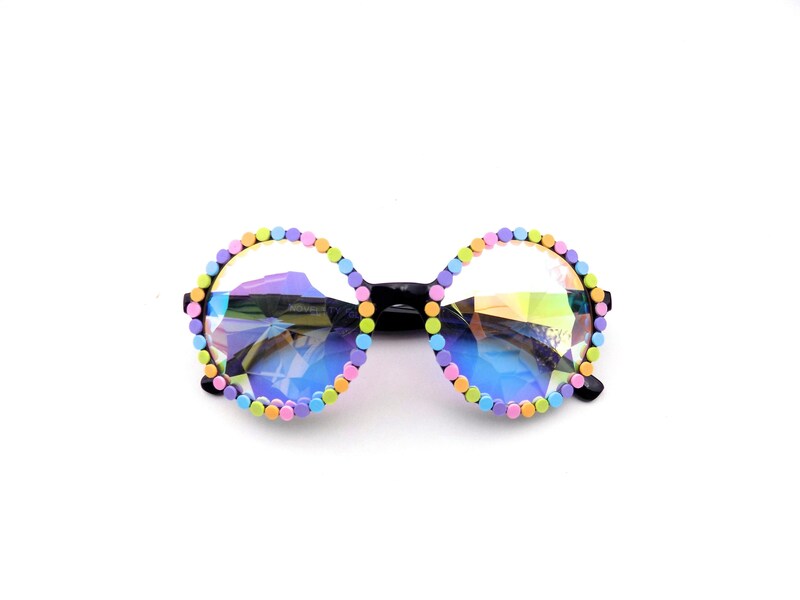 Hit me up for custom glasses!